We arrive at our last lesson relating to Japanese adjectives and while in the next lesson we will be learning more about them and certainly will be including new information about adjectives as we progress with more difficult lessons, conjugating is a good way to wrap up adjectives. It’s great that we can state that something is something but what if that something isn’t something? Let’s take an い adjective and append くない to say “not ____”. We added くない to modify the い adjective. This works very well, try it with other い adjectives. Of course, the root word is あか and not あかい therefor we must observe the correct root word and understand when to remove い if necessary. * ふるい is a な adjective and is properly written as 古い. If we wanted to do the same, but conjugate it for the past tense, then instead of using くない we would instead use かった (katta, small つ. The small っ extends the following syllable). Let’s give it a try. Please keep in mind that saying something is not, is not the same as using the antonym. For instance, saying someone is not young and someone is old might have a different connotation depending on its usage, but they can both be used depending on how you speak or write. Saying something is not hot may imply that it’s not warm, but saying that something is cold gives the listener the impression that you are affirmative with your opinion. Likewise, you cannot say that your water is さむい because the concept of hot and cold is a little different in Japanese. In fact, the concept of hot and cold used in different expressions is entirely different and we will learn more about them in this homework assignment. Example:	きれいじゃなかった。　⇒ Was not pretty. Notice that we had to also conjugate じゃない to じゃな to make this work. Using the following examples, conjugate each to negative-past. Let’s talk about くない vs じゃない and じゃありません because this is very important. じゃないcan be used on its own in every day Japanese. If someone will ask you if something is or isn’t something, you may just say じゃ or じゃない as a reply. じゃありませんisn’t used in most conversational Japanese, it is too formal and over the top polite. Instead, use じゃない if you are with friends or じゃないです with anyone else to add politeness. Simply put, your professor might require you to use ありません but this is rarely used. Keep in mind that there is a rule to using じゃない; you may only use it with nouns / な adjectives and cannot use it with い adjectives. Unlike じゃない, you cannot use くない on its own. くない has one purpose and that’s to make い adjectives negative. Red = あかい but Not Red = あかくない. In a later lesson we will learn how to combine it with ～たい verbs as well. This phrase is a great combination of both きらい (hate) and じゃない and simply means “I don’t dislike / hate” and can be used to politely say you don’t like something but also don’t hate it either. If you profess your love in Japanese and that person replies with きらいじゃないです it would mean that the person politely rejected you. If that person says すきじゃないです it is very blunt and straight to the point, there’s no room for any kindness, that person simply dislikes you to the point of being rude. Please keep in mind that the topic doesn’t need to be of a person but anything such as if someone is asking you if you like the food, or video game, a movie, or anything else. If you like something you would say すきです。 But if you don’t like something you could say すきじゃないです。We’ve previously used a more polite form in this lesson to say this depending on the context; hopefully you remember what it was. We can use じゃない with all sorts of nouns such as animals. Congratulations, you’re on your way to mastering Japanese! 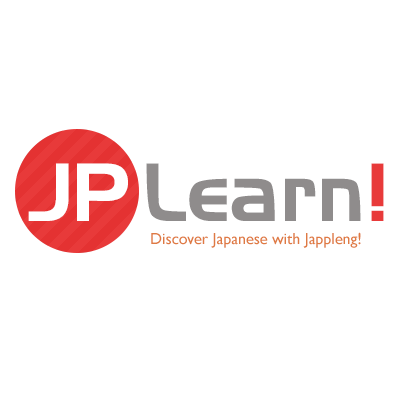 While textbook Japanese is much more different than conversational Japanese, your first steps here have been leaps beyond others whom have spent a significant more time studying. Pat yourself on the back for another fantastic day of studying and when you are ready, you may proceed to the homework assignment.